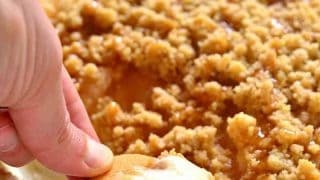 Whether you’re looking for a holiday dessert, or a weekend treat, this list of 6 Easy Recipes Using Pie Filling is sure to satisfy! Grab a can of Lucky Leaf Pie Filling out of the pantry and get baking! Every year we focus one month at our house and call it “Eat out of the pantry month.” You see, I have always been a good grocery shopper. And when something is on sale, I stock up. You never know when you might need a dozen cans of evaporated milk, or 12 cans of pie filling. 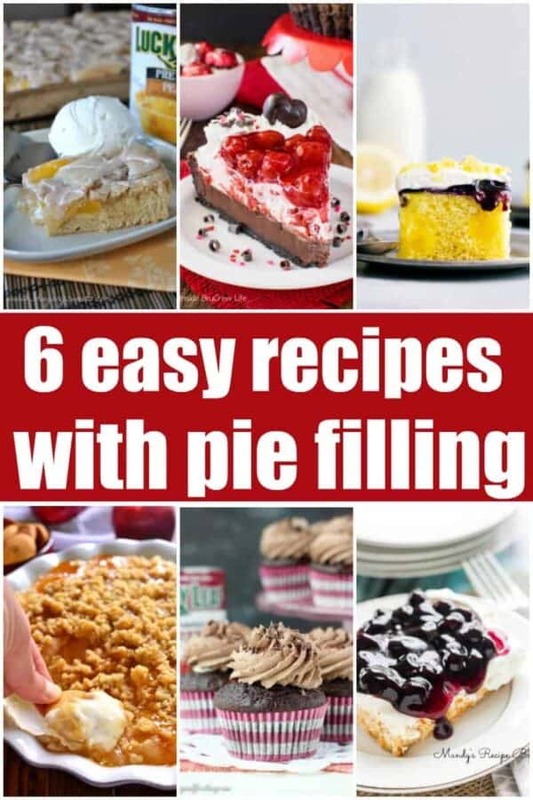 In an effort to clear out the pantry, I’ve got 6 delicious recipes all using pie filling. 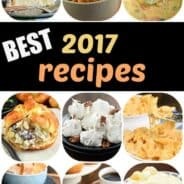 Of course you can swap it out and create your own version of these delicious desserts using what you have on hand! 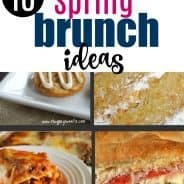 With Mother’s Day around the corner, and spring and summer barbecues and parties coming up soon, you’ll love to have these recipes printed and on hand! Tried and true you can’t go wrong! 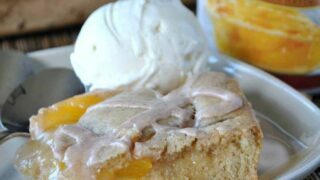 If you love peaches, this deliciously easy Peach Pie Bars recipe is just for you! No pie crust making skills needed! 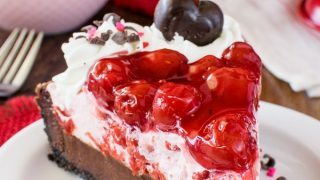 Layers of rich chocolate fudge, creamy cherry mousse, and sweet cherry pie filling. 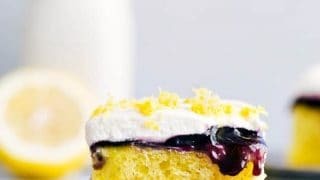 Tender and moist lemon cake filled with lemon curd topped with a blueberry filling and whipped topping. Baked Caramel Apple Cheesecake Dip is ooey, gooey, and perfect for fall! Enjoy it with graham crackers, vanilla wafers, or any of your favorite dippers. 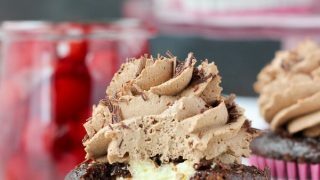 Chocolate cupcake filled with cherry pie filling, a cheesecake mousse and they’re topped with chocolate whipped cream. 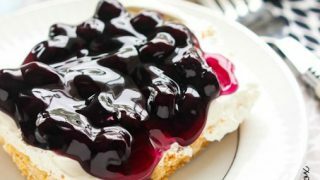 A cake mix crust and a no-bake cheesecake filling are the perfect pairings with Lucky Leaf Blueberry pie filling. 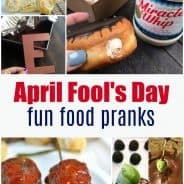 **I have partnered to create recipes and videos using Lucky Leaf pie filling. While I was compensated to create the recipe, all opinions about the recipe and product are my own!